A custom Batman Tumbler has been constructed replicating the Batman Tumbler from the Chris Nolan Batman trilogy, and has been burned through a budget of $1.6 million in the process. 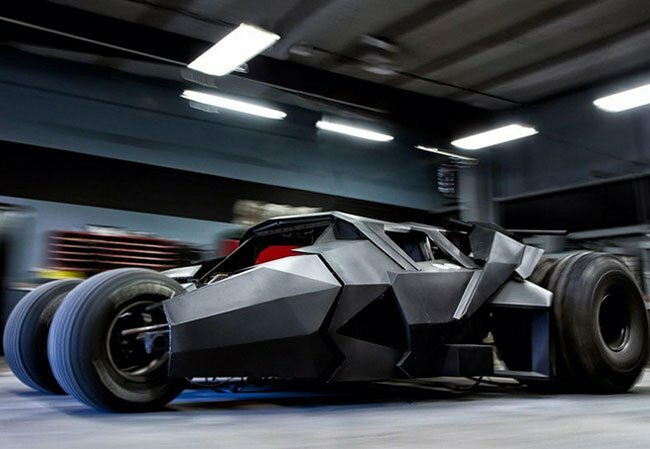 Now the same awesome custom Batman Tumbler vehicle is being entered in the famous Gumball 3000 rally. Watch the video after the jump to see it in action. The custom Batman Tumbler was commissioned by a team from Saudi Arabia and is equipped with a 400hp engine that can propel the huge vehicle up to 100 mph.